A YouTube user posted a 20 minute gameplay of Days Gone, apparently posted by Game Informer. In here, the Informer crew decided to take on a mission concerning a zombie horde clearing. And how they did it, felt both nostalgic, but at the same time new. On the nostalgic side, we already saw a lot of crafting mechanics on a zombie game. This is not new, especially when The Last of Us made us hoard everything we can carry as supplies. Also, there are familiar elements in the game, such as traps, Molotov cocktails, fire explosives, etc. The same can be said with exploding barrels, exploding “flammable” cases, and more. On the new side though, we see a zombie horde who looks like it was acting like it is supposed to act, but because of a more detailed set-up, it looks completely new and surreal. Running zombies aren’t new, but the way they actually use choke points to capture you, gang up on you as you stagger from one hit, and how they can just overwhelm you seems quite a bit refreshing. I personally loved Left 4 Dead, and hordes aren’t new to me, but knowing that you are actually powerless facing these undead things really turns up the tension. It’s something we don’t usually feel since our main characters move like they have always been prepared for these situations. 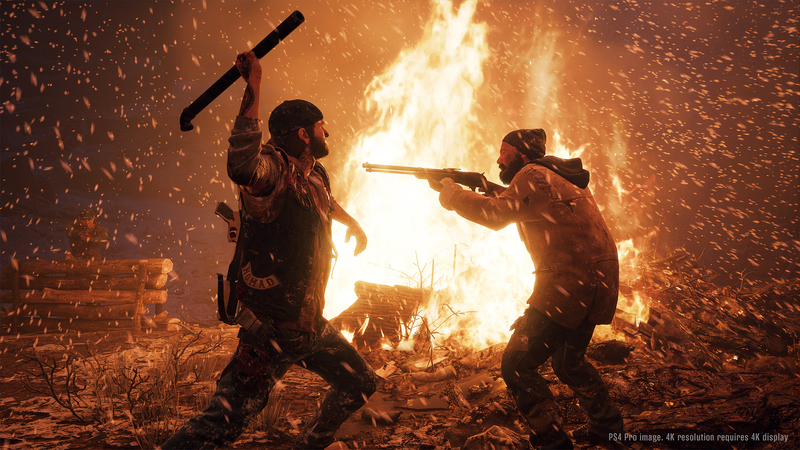 Days Gone is still in the Alpha phase, according to the video, so we can expect better gameplay improvements as time goes by. Maybe more information will be shown if the developers plan to release an update of the game on E3, which they would probably do. SIE Bend Studio plans to release the game on 2019. Well, these are just words from someone who actually likes these games. But how about you guys, are you excited for Days Gone? Did the trailer impress you, or do you have other thoughts about it? Let us know in the comments below!